Click on the “Start” button, then click “Control Panel”. 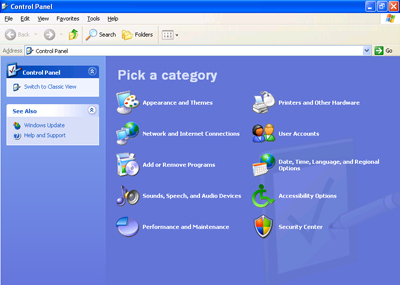 Click on “Network and Internet Connections”. 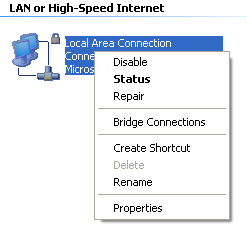 Click on “Network Connections”. 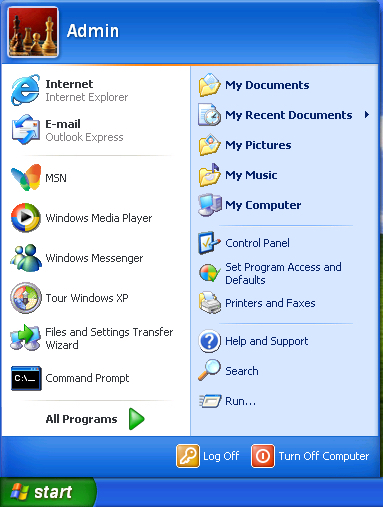 Right-click the interface through which you are connected to the Internet and click “Properties”. 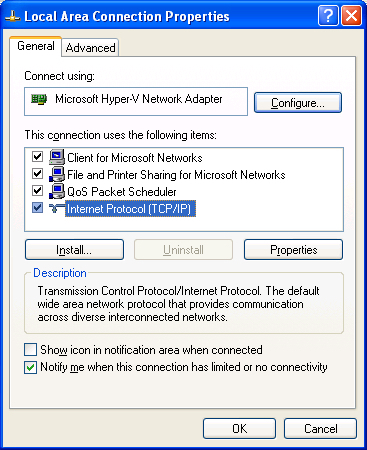 Click on “Internet Protocol (TCP/IP)” and then click the “Properties” button. 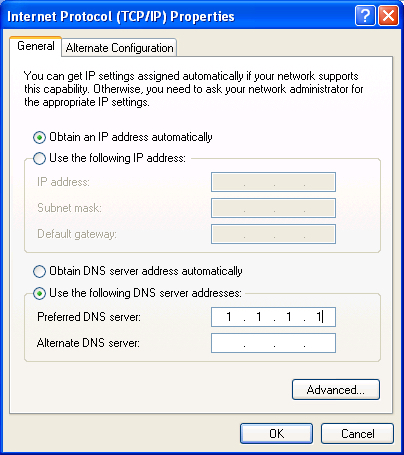 Click on the “Use the following DNS server addresses” radio button. Enter your DNS Proxy IP address and click on the “OK” button.